Have I told you I like cartoons? I do. I remember falling in love with Cartoon Network’s ADULT SWIM block of adult-themed cartoons way before it was cool. 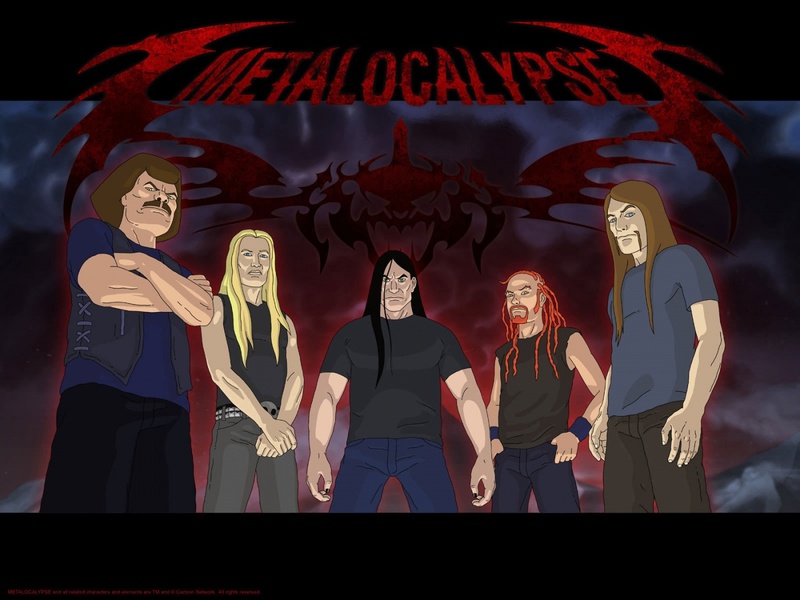 Metalocalypse is probably my all-time favorite. It’s a hilarious send-up/love letter to all things metal. The show follows the trails and tribulations of Dethklok, the world’s most famous and beloved band. All the members of Dethklok are insane/over-the-top rock caricatures…and that’s what makes me love it. This is not high art by any means…but nonetheless awesome. Oh, yeah: WARNING THIS VIDEO IS NSFW.